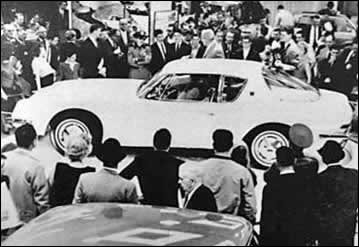 An early production-model Avanti was ready, despite a UAW strike, by April 1962, for the New York International Auto Show. 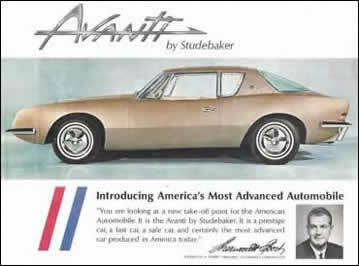 When it was unveiled on April 26 the show had already opened, but Studebaker had kept the car under wraps for days until a shareholder’s meeting in South Bend, where a second prototype was simultaneously unveiled. It was a sensation. It was called startling, unconventional, sizzling, elegant, and a "knock-out." 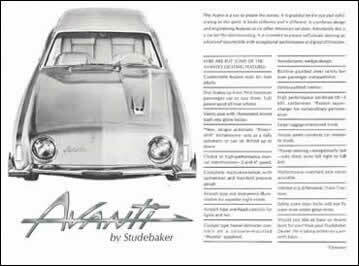 The photo at right may be a rare photo of the Avanti in the Studebaker display at the 62 show. In 2007 the History Room at the Canadian International Auto Show featured Studebaker models and included a re-creation of the display from the 1962 New York International Auto Show. This was probably the flyer distributed at the New York International Auto Show in April 1962. The back side of the handout distributed by Studebaker at the 1962 New York International Auto Show.